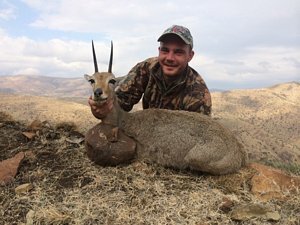 Eniel on this trip with his long range kill shot on a Springbuck. This was Eniel's first hunting trip in his life and he was 75 years old at the time. He was also in a group of nine other hunter. 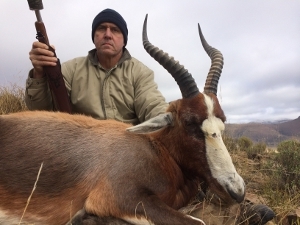 He aslo hunted a second Springbuck that we waited for hours and hours in ambush for. 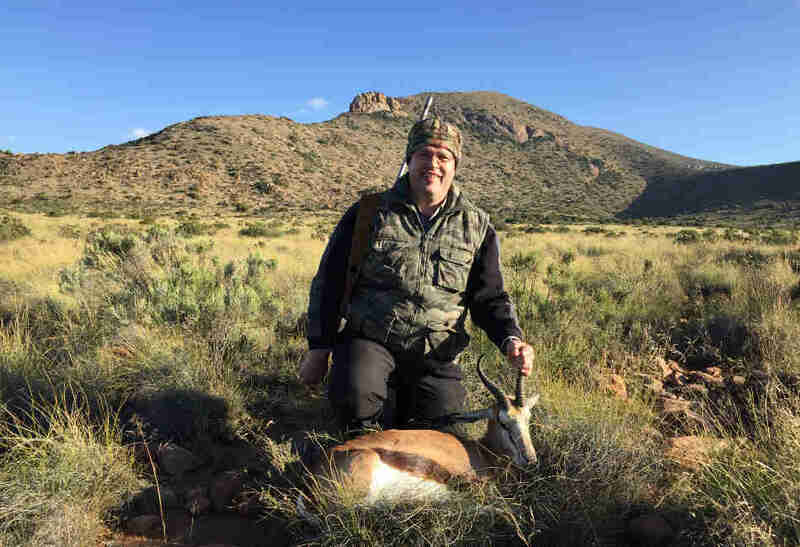 Gustav on this trip with his very long range hunt and it was extra difficult as the buck was smaller, a Springbuck. 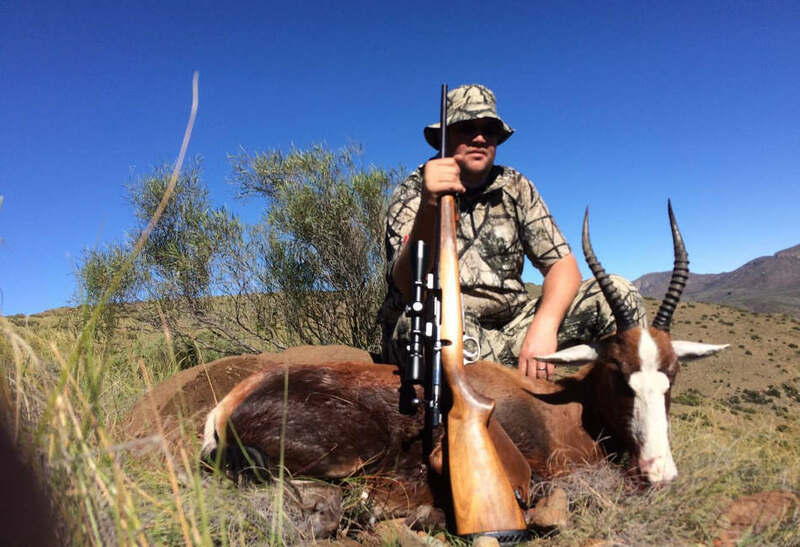 Gustav hunted with a 300 Win Mag. 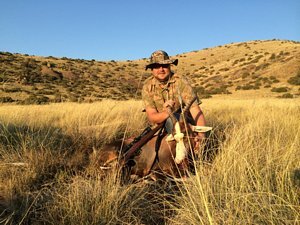 Jeremy on this trip with his 220 meter long range perfect shot that dropped the Blesbuck on the spot . 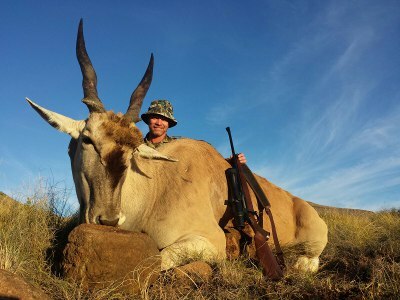 Eric on this trip bagging a wonderful Eland bull at under 200 meters with his 30'06, the first shot got him in the lungs so he would have gone down but Eric was not taking any chances and taking another shot hitting the bull in the front and penetrating the hart then the Eland went straight down. 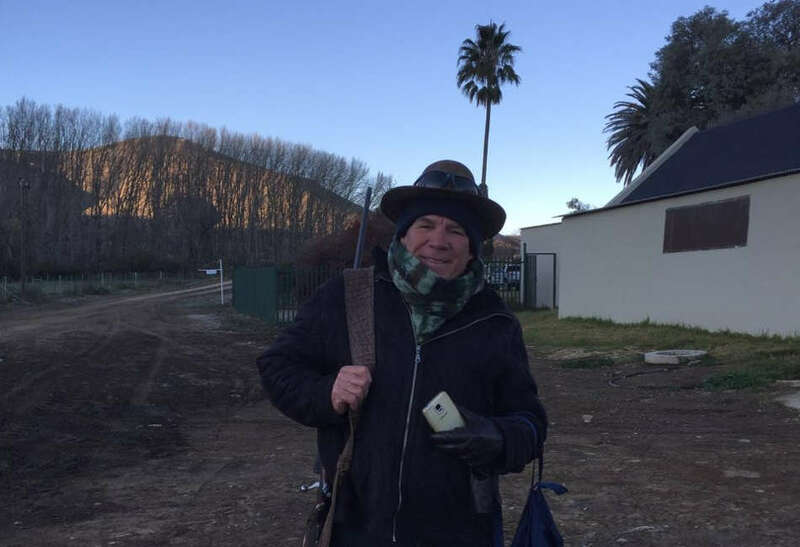 It was nearly a full two day hunt and 85% on foot up and down the mountains after the first day Eric could hardly walk. 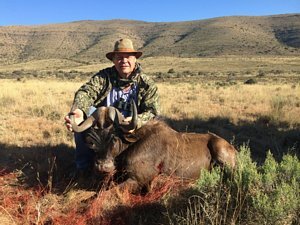 Jannie on this trip bagging a nice Kudu bull at 356 meters with his 7 x 64 and later on after a long difficult walk down one of the biggest mountains hunting a Red Hartebeest and finally shooting it at a distance of 490 meters but wounding it and then finishing it off with a second shot. 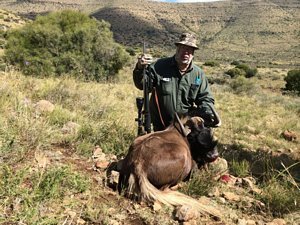 A few minutes later Jannie also shot another Red Hartebeest. Able on this hunt shot three buck in the neck and they drop on the spot. 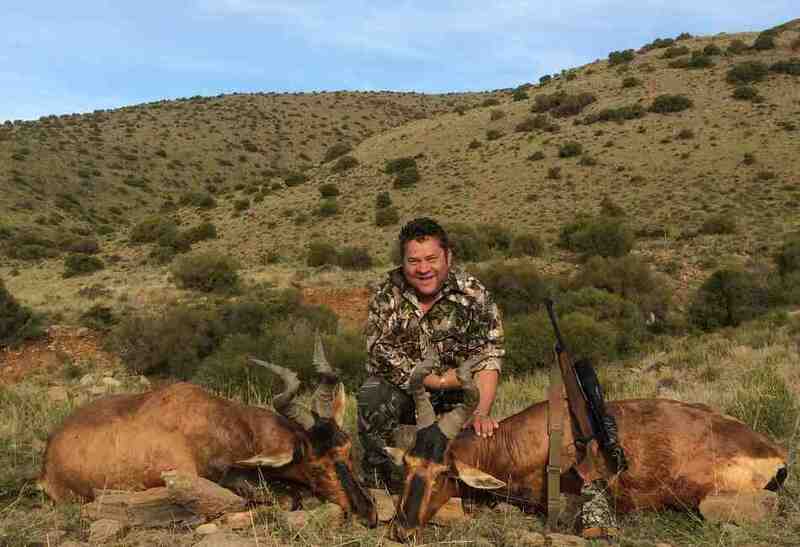 He shot a Kudu, Springbuck and Blesbuck in this way and the they where not at a close rang. 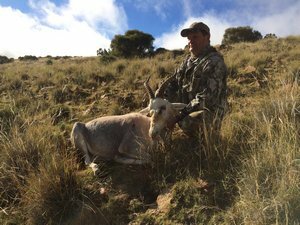 Karel on this trip was determined to find a Grey Rhebuck. We don’t have many of this species on the game farm as they occur naturally and we have never introduced any. We also only find them in one part of the game farm up in the highest mountains. Anyway Karel was off to find one and walked and stalled for three days. On the third day we told him where to go and he went off on his own. He walked up a mountain and over the other side he saw a small heard of them in a valley. He setup and waited for half an hour for them to move as they were lying down in the thick grass field. He also had to find the male of the heard and waited for him to move. Karel was a far distance from them so it was not going to be an easy shot. Finally he moved and Karl too his shot but wounded him and he ran off but stood still again and Karel took his second shot and he when down. Karel went down to find his trophy and then had to carry the buck on his back up the other side of the mountain for 1km straight up the mountain to the days rondevu point where we would be having lunch for the day. I can say you have to be strong and fit to make that clime with a buck on your back and your rifle.